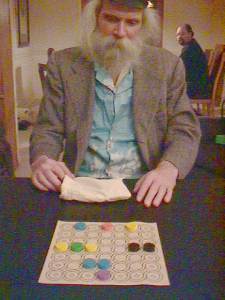 Eric Solomon's game Entropy (published by Franjos as Hyle-7)... One player, as Order, attempts to form symmetrical rows and columns of counters. 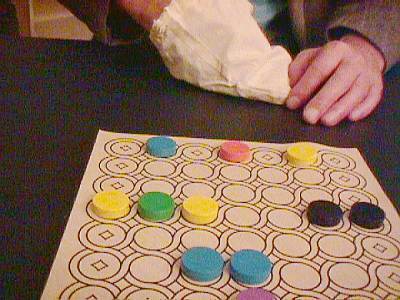 The other player, as Chaos, draws new counters from the bag and attempts to place them in a way that blocks Order from forming patterns. If you're not familiar with this gem of an abstract game, you might want to check out the rules.